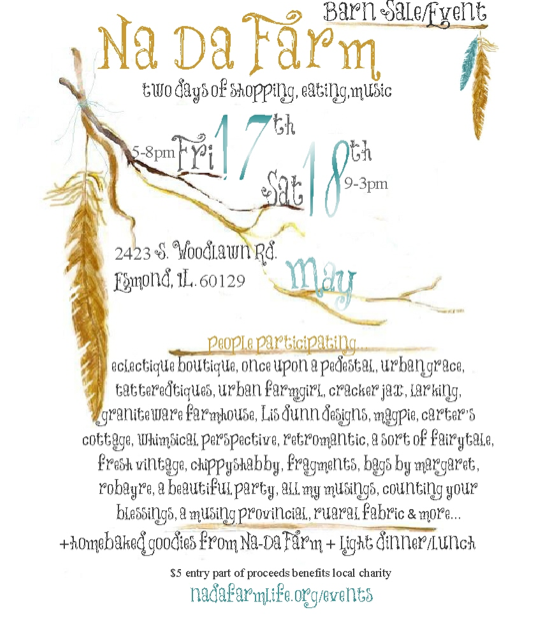 WE had a delightful time setting up at the Na-da Farm sale this weekend. we were almost ready to go. Mabel, the name we have chosen for our little camper, paying homage to my husband's mom of the same name. She was a camper and outdoors woman at heart. Although my husband thought we should do the interior in denim and flannel, I overruled and decided to go with a brighter, bolder look. an overall view of our display Saturday morning. She looked so cute as our back drop and escape from the westerly winds. Despite the gathering storm, we continued to set up our outdoor space, collecting a few things that had blown down during the afternoons set up. ...with the large crowd gathering, we put the finishing touches on the booth. 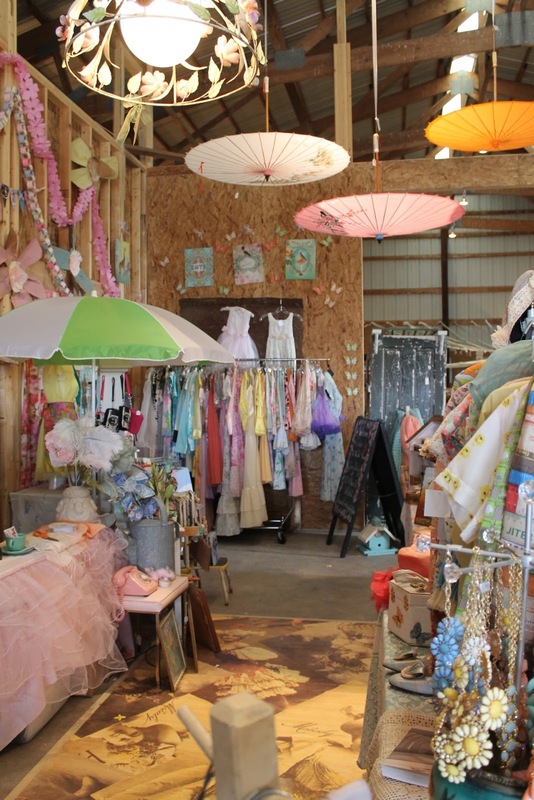 We stole a moment to admire some of our favorite shops in the BARN... before the crowds engulfed it! 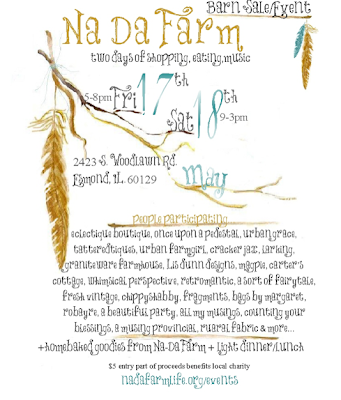 Anne Marie's delightful Nada FArm Homemade "shop" so many yummy baked goods here! Cracker Jax had some cute clothing. Aubrey found something there she LOVED. 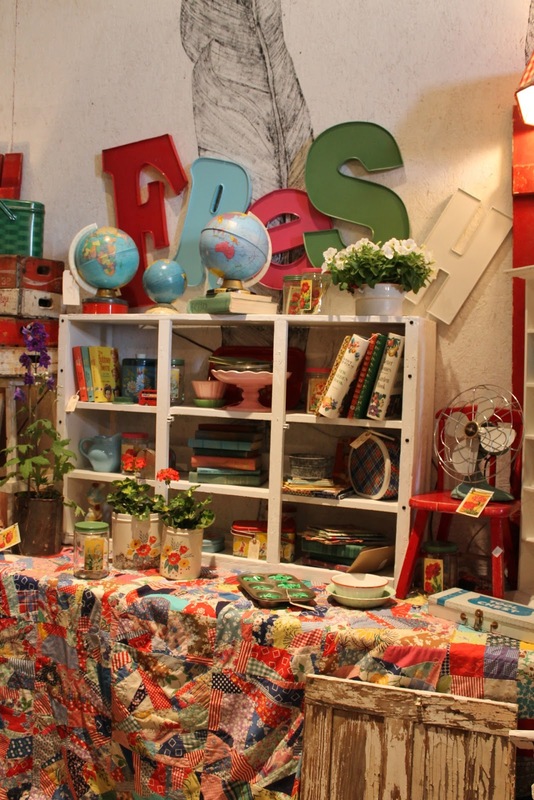 Above, Jen from FRESH Vintage has such a bright and colorful style! 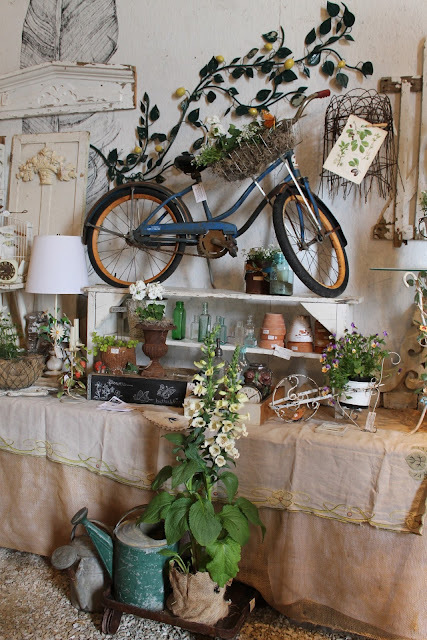 Jeanine from Chippy Shabby has a beautiful presentation and tons of beautiful vignettes. Stacey from Cottage industry delighted with some darling, whimsical pillows and embroidered creations. At the END of the day... we all had a wonderful time, sharing stories with customers, getting to know one another better and taking in the beautiful vistas from the farm! Beautiful pictures!!! Thanks for the shout-out !!! Love that last pic of the trailer everyone wanted! Great! pictures....and loved having you here...you are both welcome anytime! xo + blessings for a great summer!! 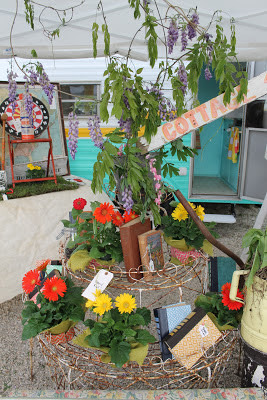 YOUR OutDoor *Booth Space* was just charming!!! YOU REALLY captured the feel of the event in all your wonderful pics... Always a pleasure to chit-chat with YOU!*! *!